Data Acquisition System - Dynatronic Corporation Ltd.
Dynatronic-tech designed and manufacture different brands data acquisition systems that make test and measurement easier. Our datda acquisition instruments are designed to be easy and fun to use, modular and extendable, and can work with any signal and sensor. With widely applied environment. Choosing our data acquisition system will save your time and cost, what are you waiting for? Software is a key aspect of any computer. Application software packages allow the user to perform sophisticated functions with minimal effort. For custom applications, users typically write their own software in standard computer languages, such as C++. The latest development in computer software is icon-driven software. Icons are picture representations on the computer screen identifying a specific function or device. Dynatronic strives always to provide a complete data acquisition offering with the all the products you may need, including the latest developments in the industry. Years of collaboration and feedback from test engineers made Dynatronic one of the engineer’s go-to software tools for all testing and measurement applications. Unique compact structure makes it one of the fastest software platforms for test and measurement, even on basic computers. Record, store, and analyze gigabytes of data without any performance issues. Dynatronic data processing software is very easy, intuitive, and fun to use but is packed with powerful storing, visualization, reporting, and analysis tools. We follow our vision and keep our software as easy to use as possible. DAQ cards often contain multiple components (multiplexer, ADC, DAC, TTL-IO, high speed timers, RAM). These are accessible via a bus by a microcontroller, which can run small programs. A controller is more flexible than a hard wired logic, yet cheaper than a CPU so that it is permissible to block it with simple polling loops. For example: Waiting for a trigger, starting the ADC, looking up the time, waiting for the ADC to finish, move value to RAM, switch multiplexer, get TTL input, let DAC proceed with voltage ramp. 20M Sampling frequency mask triggering can capture randomly occurring signals or rare signals, such as intermittent parasitic signals. If the user is not interested in the signal between transmission bursts, the frequency mask trigger can capture the “burst” signal, maximizing the amount of signal that can be captured in memory for later execution of spectrum, time or modulation. analysis. The sampling rate determines the rate at which the modulus transforms. When the sampling rate is high, there are more sampling points in a certain period of time, and the more accurate the digital expression of the signal is. An Ethernet connection is used to adjust the signal data and transmit the data in a laboratory environment or other circumstances where the hardware system acquires information from an external signal. The Ethernet data acquisition tool acts as a bridge between the computer and external signals, usually sending data to wireless routers or other hardware nodes that can transmit the information wirelessly. Part of the data acquisition and reception process involves signal conditioning, and the equipment and system must either linearize the data stream or keep the data consistent for proper acquisition. 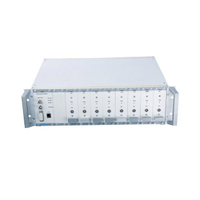 The other hardware is specifically designed for signal conditioning and will work with the dedicated Ethernet data acquisition (DAQ) hardware. Ethernet data acquisition hardware will form a larger platform for data acquisition and output for scientific or other purposes. Compared with other serial communication such as RS-232 or RS-485, Gigabit Ethernet is more popular and versatile, and can be directly connected to other terminals on the Internet. Compared with 100M network, Gigabit Ethernet transmits faster. The transmission distance is farther, and combined with the UDP/IP protocol stack, it is more convenient to communicate with the host computer. By means of multi-layer shielding and advanced isolation technology, DE-918 High-performance Isolated Dynamic Signal Test and Analysis System is especially suitable for accurately measuring physical quantities such as stress, strain, force, pressure, velocity and acceleration under high radiation and strong interference conditions. Would you like to know more about us or products?